Who would have thought choosing window treatments could be so difficult! Roller blinds, curtains, shutters, venetians, roman, panels and drapes… the options just keep going! I recently had to decide on window treatments for our new house and found the decision completely daunting — it was like the window saga all over again! Knowing many of you are currently building or renovating and this is a decision you’ll need to make soon, I thought it would be helpful to talk about the different options available, things to consider and other helpful tips so you [hopefully] find making the decision easier than I did! Roller blinds — possibly one of the most popular options, roller blinds are a simple and affordable choice. Choose from blockout (ultimate privacy and darkness makes them ideal for bedrooms), light filtering (softens light and suitable for living areas) or sunscreen (provides daytime privacy and blocks 95% UV rays, great for sunny spots), and face mounted (above the window) or recess fit (within the window). You can opt for simple flat fabrics or textured or even patterned. Be sure to get a few samples before you make the decision, for example DIY Online Blinds will priority post samples to you for free so you can be sure the fabric works with your wall colour and overall colour scheme. See what a transformation new roller blinds made at Bonnie’s house with these before and after photos. 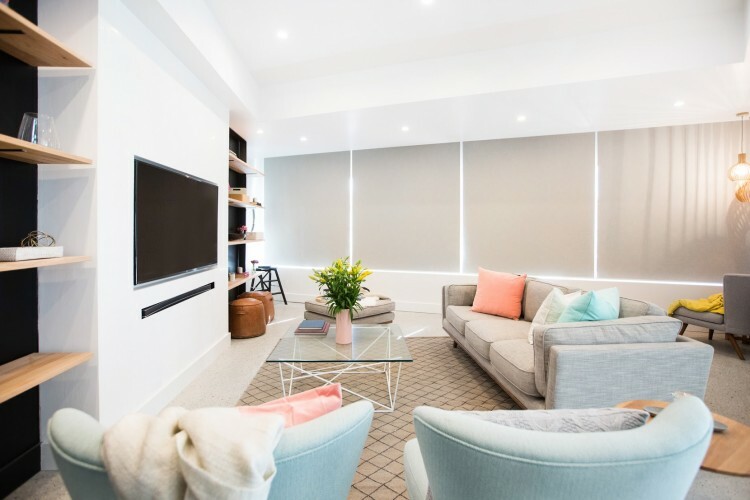 Double roller blinds — just as the name suggests this is two layers of roller blinds on a single bracket – either a blockout and sunscreen, blockout and light filtering or light filtering and sunscreen. Switch between complete privacy and darkness to light filtering so you can enjoy the view. This option gives you ultimate flexibility while still having the sleek look or roller blinds. Get more out of your space by changing the level of light and privacy to suit your changing needs using this window treatment. Roman blinds — fabric blinds that fold as you draw them upwards, these are a soft and elegant option suitable for a range of interior styles. 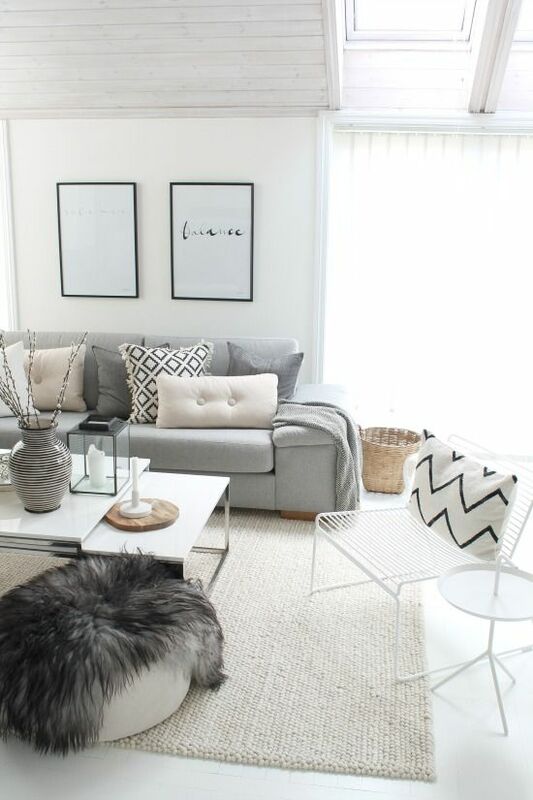 A simple white fabric looks great in a modern home, whereas a textured white is suited to the Hamptons style and the warmer tones look fab in a classic home. These are more of a feature window treatment than the streamlined roller blinds, however just like roller blinds they are available in blockout, light filtering and sunscreen fabrics. They also require a little more maintenance, needing regular dusting, vacuuming and spot cleaning. If you go for this option, be sure to look for a provider that can offer a chain drive system rather than cords, such as DIY Online Blinds, as they are child safe and provide a cleaner look. It will cost you a little more but is a worthwhile upgrade. Venetian blinds — available in a variety of materials, they can also suit a range of interior styles. Classic timber blinds are the perfect fit for a botanical or tropical interior, aluminium suits the ultra-modern style and Visionwood venetian blinds are an ideal fit for coastal or modern homes. If you haven’t heard of Visionwood venetian blinds before, they are a popular alternative to timber as they are a fraction of the cost, are made from moisture-resistant materials (making them ideal for wet and humid areas such as the bathroom or laundry), and are anti-fungal and anti-static (making them a great choice for people with asthma). 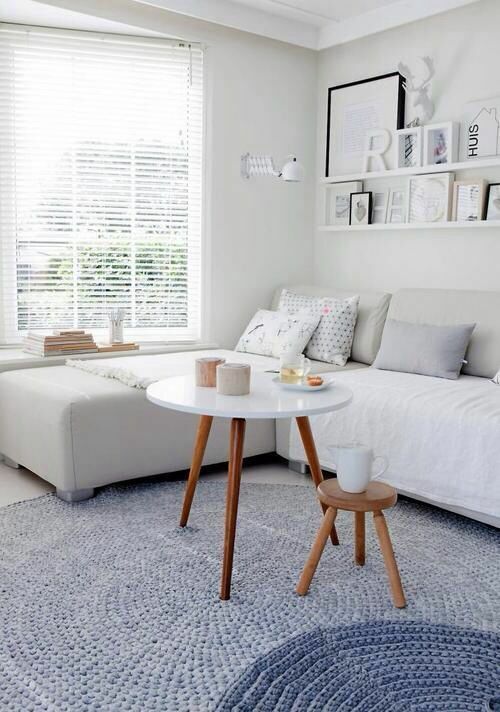 Venetian blinds require regular dusting (without exerting too much pressure) to keep them in top condition. Vertical blinds — slat-like blinds that stack behind each other as the blinds are opened. Affordably priced and easy functionality and maintenance also makes these a popular choice. Decide on a child-safe wand or traditional chain control, and left, right or centre opening. Honeycomb blinds — this is the option I selected for our house, opting for blockout in the bedroom and light filtering in the kitchen/dining area. These can either be recess fit (within the window frame) or face fit (above the window frame) and are generally made from a material that is water and fade resistant, giving them a long lifespan. The pleated honeycomb design also provides exceptional insulation, helping to keep rooms cool in summer and warm in winter. Panel blinds — suitable for large doors, windows or bi-fold doors, these fabric panels attach to an aluminium track and slide behind each other when opened. These also come in blockout, light filtering and sunscreen options so you can choose between ultimate privacy to simply reducing glare and heat while maintaining the view. Curtains — available in sheer fabrics for that floaty, romantic feel, to lined drape fabric for blockout. Curtains in drape fabric are also great insulators, while the sheer curtains gently diffuse light and can be hung in front of block out rollers or plantation shutters. Plantation shutters — a super pricey option that generally requires professionals to install, plantation shutters are completely cordless timber, timber-look or aluminum shutters. Shutters are fitted as a part of the window and can be made to suit any shape window such as arch or round windows. And just to make things more confusing, many of these window treatments have additional options such as cordless, semi-cordless, wand, chain or automated. So how to decide on the right window treatment? You might be surprised to learn just how expensive some window treatment options can be! I got a quote for honeycomb blinds throughout my house and choked when I heard the price! 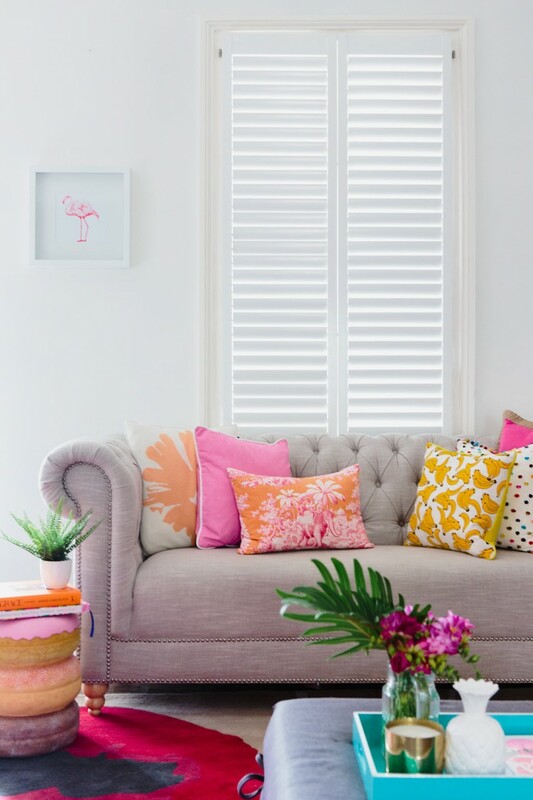 Your budget may immediately rule out some options such as plantation shutters or make you decide to order and install the blinds yourself rather than having them installed by the provider. I saved over 50% by measuring and installing our honeycomb blinds which I bought online. The only downside I found buying online was that I had to wait several weeks for my blinds to arrive, however DIY Online Blinds are delivered in 15 days so there are speedier options available. Some window treatments are better suited to certain interior styles than others. Consider what look you are going for and research what window treatment best suits the style by looking at sites such as Houzz and Pinterest. The style may also determine if you go with face mounted or recess fit options. Take the time to request samples or swatches so you can see how they look in your home. If you have cool white walls, a warm white window treatment may look yellowish and vice versa, if you have warm white walls and use a cool white fabric on your windows, you may find they look bluish. Textures and patterns can add interest so why not request a few samples outside your comfort zone to see how they look in your home too. Once you know the option you’re going with and the colour or finish, it’s time to make all the small decisions that can have a big impact – face mounted or recessed; left or right control; chain, cord, cordless or wand control; track colour; base rail colour… Again, the research you did into your interior style will help you make these decisions. As I mentioned, I saved over 50% on the price I was quoted by buying my blinds online. Don’t just consider the physical stores in your area when looking for blinds when there are excellent online stores that can save you big bucks. 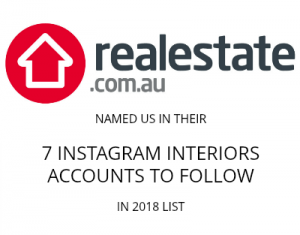 For example, DIY Online Blinds guarantee to beat any price, have a huge choice of window treatments, are 100% Australian and come with a 5 year warranty. 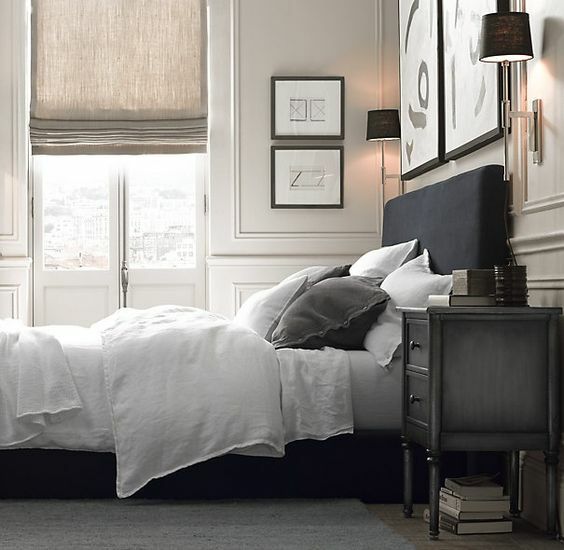 Has this guide helped you decide on what window treatment to use? Do you have other useful tips you can share in the comments below? I just came across this article while trying to decide on window furnishings and EEKKK you are right, there are so many options! 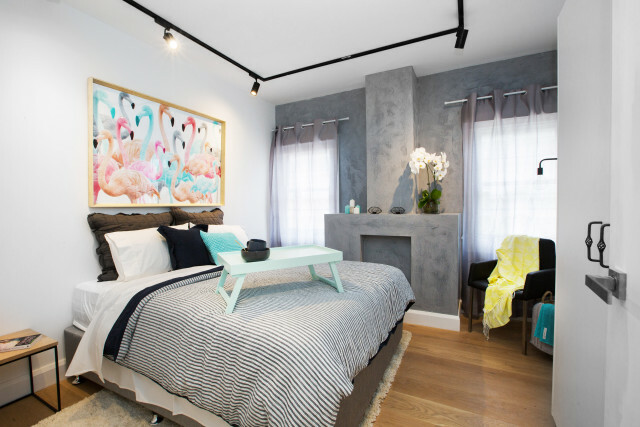 We are thinking of honeycomb in the bedrooms/rumpus and then a roller blockout with a sheer curtin for privacy as we have an modern industrial theme and the concrete floors, black window frames, tapware and foor handles might need some soften with a sheer curtain. We do have a raked ceiling and the large sliding doors that we would add the sheer curtain is leveled without the raked. Would you recommend to still add the sheer to the ceiling? i have recently started following your blog & its great. 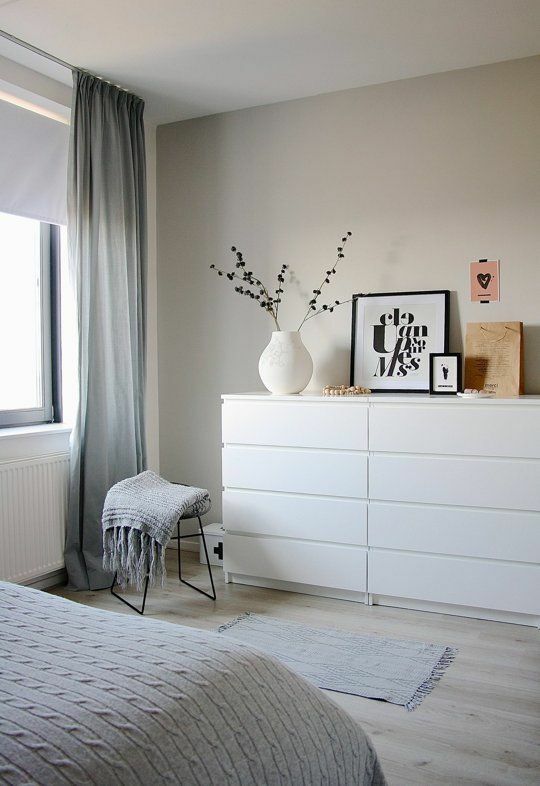 We are planning to go with a Scandinavian theme in our master bedroom. We are confused with whether we should go with blinds and curtains or both. Can you suggest if we want to combine both , is Roman grey blinds with Sheer white curtains a good option? I’ve just signed up to buy a renovators delight in Bonython. The current drab drapes definitely need replacing. So pleased a search of your site took me to this useful past article – a big help to know my options. Great tip guys, thanks for sharing! This is very timely, Gina, as I have been trying to work out what window coverings to use in the bathrooms. The biggest issue is the bathroom on the ground floor that has a floor to ceiling window facing the street! 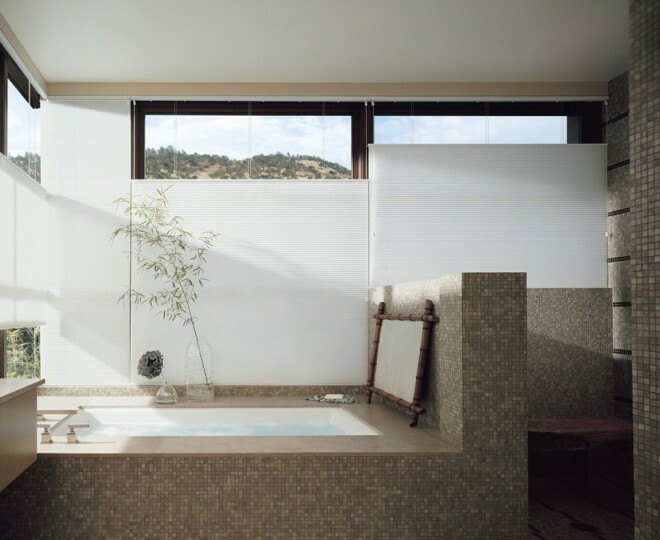 We are getting external ‘zipscreens’ on most windows, which are great for daytime privacy and keeping the insects out in Summer, but they don’t offer privacy at night, which could be a bit of a problem for anyone using that bathroom! Some good options to think through from here for interior blinds though. I love the honeycomb ones you chose – I’d like to have blockouts on some windows and curtains on a couple of the living areas and main bedroom. Eeeeek, YAY! So glad I can follow the progress of your build now! I just tried to comment on your floor plans post but for some reason it said my comment wasn’t allowed. I’ll have to try again later. Can’t wait to read your regular updates. Who is your architect? So exciting! But yes, window treatments, what a saga! I’m glad this post could give you some ideas. Those zipscreens sound mega fancy, can’t wait to see pics on your blog. What are you thinking for in the bathroom? Down the track I may consider adding sheers over the honeycombs in the bedrooms but I would want these to be from the ceiling and am worried this could look weird with the high ceiling. Anyway, that’s a decision for another day. PS Your street looks amazing!! Our Architect is Et Al Architecture, he was recommended by a work colleague and is actually based in Bangkok (but used to live in Canberra). The zipscreens do sound fancy but we thought they were good value. I like the idea of the sun not hitting the glass in Summer and only having the ‘flyscreen’ look when the blinds are down. I think whatever window covering I use in the bathrooms (they actually all have windows facing the street!) will need to be external, or some sort of film. How high are the ceilings where you are considering the sheers? I think we may have a similar problem in the Lounge room where the ceilings are 2700 but the top of the window stops at 2400. I was still planning on doing it anyway! But I was thinking heavier curtains in that space as it’s going to be the tv watching room. Maybe when they’re tucked away, they will look ok?? Is this your architect http://etal-collaborative.com? Whoever you used, it’s clear the choices you’ve made so far are fab and your house is going to be STUNNING! Most of our ceilings are around 2.7m but in our bedroom it rakes up to over 3.2m and that wall is pretty much all window… I’m worried it will then look like a wall of fabric and there isn’t really anywhere I can hide the curtains away. I might just pop down to Spotlight and buy a few metres of fabric and send my husband up a stepladder so I can visualise it, lol! Thanks for the positive feedback! No, that’s not him. I’m pretty sure he doesn’t have a web presence, most of his recent work is designing embassies overseas. I don’t think sheers take up heaps of room so you might be ok, although I admit I’ve had to think a lot about which direction I could draw them in the living areas so they’re not bulky and in the way. I have a 2.4m wide bit of wall in between the large doors/windows off the kitchen and family room but I really want to put a piece of art there so the last thing I want to do is cover it up with curtains :/ I’m crossing all my fingers and toes that I can manage both.